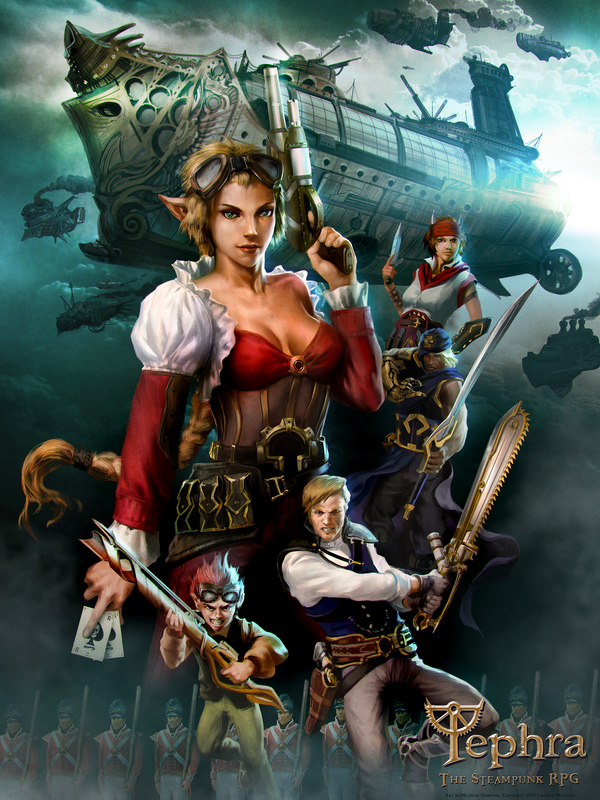 Tephra: the Steampunk RPG | Explore the world of Steampunk! Welcome to Tephra: the Steampunk RPG! 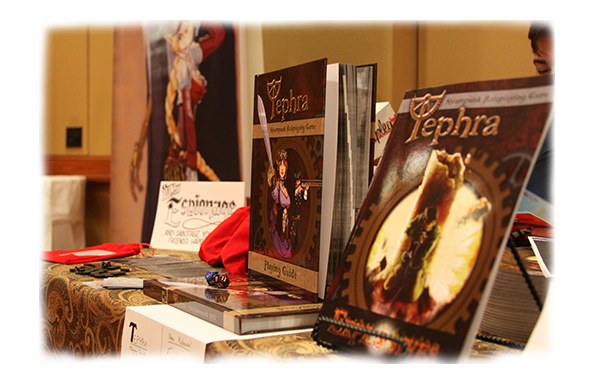 Tephra is the award-winning steampunk roleplaying game that has caused a global addiction. This game was designed for manic high-flying combat, astonishing crafted gizmos, weapons, and automatons, and includes a fast and class-free character creation system. Using only a d12, Tephra is easy to pick up but robust enough to keep people engaged in years. Our Playing Guide alone is enough to keep you and your adventuring party entertained for a hundred days and nights! The Clockwork System is a new system developed by Parlor Gaming that is based around the use of a single D12. With an exciting, freeform character creation system, tiered effect roles, and fully combat-ready crafting system, Tephra’s ready for adventurers! Learn More! Explore the world of Tephra through the eyes of your adventurer, searching the world for intrigue, mad science, and great battles. Learn More! Indulge in all your Tephra desires and check out our online store!